ST. GEORGE – Work to help revitalize the Bloomington Country Club moves ahead with the St. George City Council’s unanimous approval Thursday of two projects related to the private golf course and club. The council also approved short-term rentals in the Entrada area and made way for additional development in Little Valley. Due to financial difficulties and declining membership, Bloomington Country Club was on the verge of closing last summer. The club’s board of trustees approached various individuals, as well as the City of St. George, about buying the golf course, but none were interested. That changed when Darcy Stewart, a managing member of the SunRiver Group, decided to help revitalize the ailing club and its 18-hole golf course last year. The SunRiver Group has partnered with Bloomington Country Club and has begun to invest in its renovation and hopeful return to glory among Southern Utah’s golf courses. Alan McKie, the former president of the Bloomington Country Club’s board of trustees, said Stewart’s involvement has been greatly beneficial. If Stewart hadn’t stepped in when he did, McKie said, the green of the golf course would be a field of brown, dead grass. “I believe this has been a win-win situation,” McKie said, adding he believes the renovations at the golf course are benefiting the general community as well. Part of the renovation efforts came before the City Council Thursday in the form of zone change requests for five parcels of land equaling just over 10 acres. The parcels are located on parts of the Bloomington Golf Course, County Club development and off Bloomington Drive. The zone changes called for a mix of low-to-high density residential zoning. The second project involves 5.4 acres west of the Virgin River that was converted from agriculture to residential zoning. 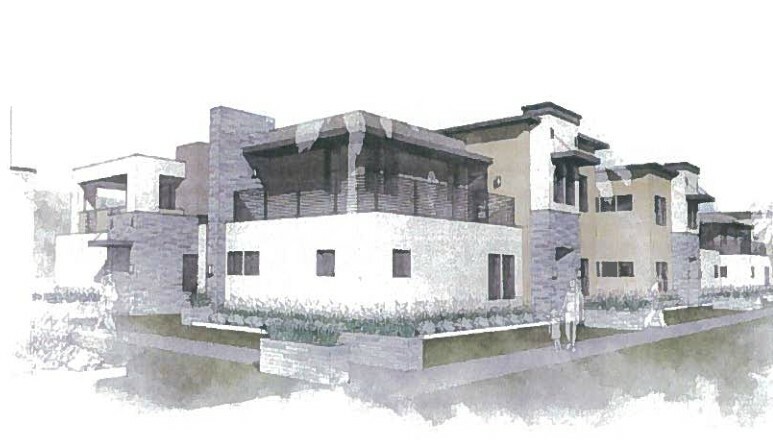 The project calls for the development of 48 two-story condominiums. Units would be used as short-term rentals. Stewart told the council the short-term rentals – and new development in general – are a way the Bloomington Country Club could remain financially viable in the future. “We do need a lot more density to support this facility for many years to come,” Stewart said. He has previously estimated that renovations of the Bloomington Country Club facility and golf course will run between $6 million and $8 million. The zone changes were unanimously approved by the council, as was the request to allow the future short-term rentals. 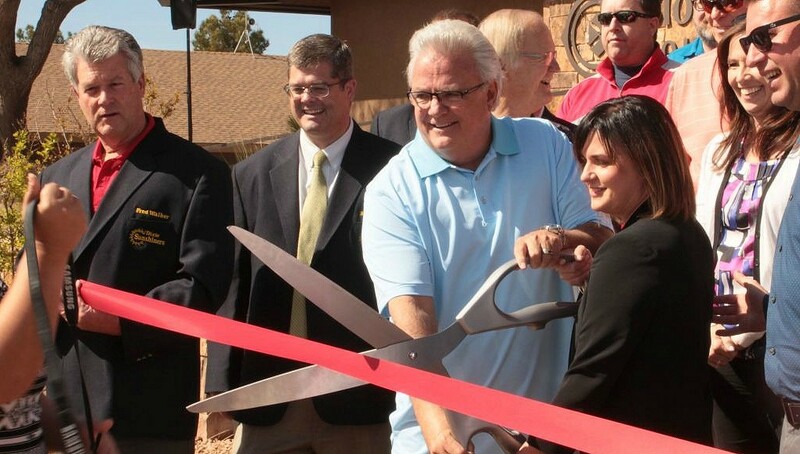 Residents of the Bloomington Country Club and surrounding area generally praised Stewart for work already done at the golf course, including the clubhouse. However, Richard Kohler, one of the area residents, told the council he believes the renovations are harming surrounding property values. He also argued the city was violating agreements made in connection with the 1982 annexation of the Bloomington area by allowing the development. The City Council also approved nearly 40 units in the Entrada and Shinova Ridge developments for use as “lockout” short-term rentals. The lockout units are homes that can be turned into two individual units through locking a door between the two. The City Council approved changing 20 acres of agricultural zoning in Little Valley to residential zoning that allows 8,000-square-foot lots – but not before hearing from a some concerned residents. Little Valley residents who spoke to the council Thursday weren’t in favor of the small lots, as they could bring a higher density of homes into the area and increase traffic. Others are also worried that the way of life they moved to Little Valley for, like the ability to keep animals such as horses and other livestock, will be increasingly threatened by newcomers. “We moved out there for the quality of life, not the quantity,” one resident told the council. Improvements to or supporting the Ridge Top Complex and prospective developments in that area continue to emerge. A design services agreement for the engineering and design of a roadway connecting to the southern end of the complex was approved for $45,860. The roadway will provide a second access point to the mesa-top technology park city officials have planned for the area. The second access point is anticipated to connect with 250 West. Can you describe where this is please? Speaking about the new construction (condos, new residential homes ,access roads, etc., can the St. George news share the submitted planned development drawings with us please?. I’ll hold off buying in the area until I get more input. Let me see what we can do, NSF. At this point is there are no drawn up construction plans for the gas station that I am aware of. It is still quite early in the process for that. In the cases were developers need to go before the City Council for approval however, they do have to submit general plans and conceptual details of how the developments will be laid out and how the buildings will look when they reach that point in a project’s progression. Those are a matter of public record and can be accessed through the City of St. George via the city’s website.